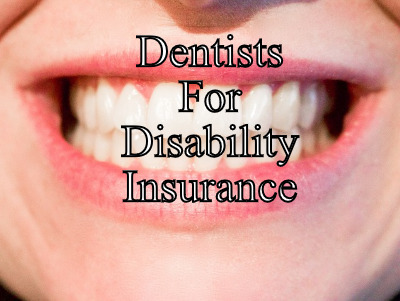 Dentists and dental assistants know how important it is to have a disability insurance policy, whether a long-term individual disability insurance¹ policy or group. Even a policy with good coverage, however, may not be enough. Having an experienced attorney review your policy is always a good idea, even before you ever have to make a claim. Edelstein Martin & Nelson, LLP are here to help you with disability insurance issues you may face. Whether you work for yourself or for an individual dental facility, we understand the potential difficulties you face when making a disability insurance claim, and we will do everything we can to get you the benefits you need. To arrange a free initial consultation with Philadelphia insurance disability lawyer, Keith Martin, call 215-858-8440, toll free 866-532-2504 or contact our law firm online. Many dentists and dental assistants suffer from repetitive use injuries like carpal tunnel syndrome, and injuries to the shoulder and even the lower extremities. These injuries are typically caused by the vibrations of the machines they operate on a daily basis. It is rather common for insurance companies to refuse to compensate dental professionals for these injuries, saying that the level of vibration from dental tools is not enough to cause such harm. Whether you are just starting your claim or you need to appeal a denied claim, we are ready to help you. Like many medical professionals, dentists and dental assistants often have disability insurance that is paid upon the inability to perform their own occupation, rather than any occupation. This means that if the dentist takes a different job after the injury, the insurance company may try to reduce the benefits it pays out. At our law firm, we know how these complicated contract provisions operate, and we will make sure you are protected. If you are not able to come to us because of your disability, we will not hesitate to come to you. Our disability lawyers of Philadelphia travel and are available to handle cases throughout Pennsylvania. To schedule a free initial consultation, call 215-858-8440, toll free 866-532-2504 or contact us online.